Mel and I were up at 2:30am this morning getting ready and driving to the largest antiques show in Northern California. 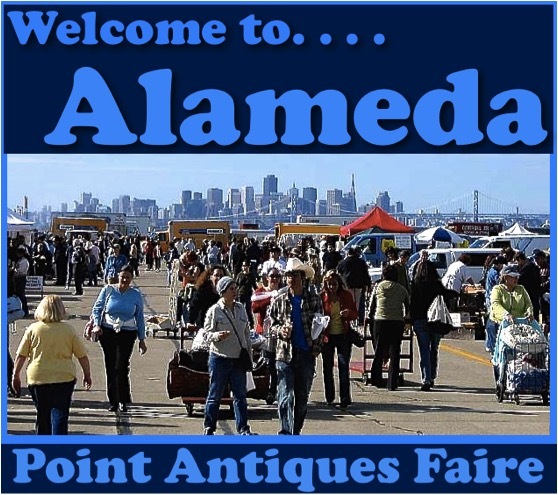 We love Alameda because of the size of the faire and the scenic views. You can see the heart of S.F. from almost any point around the faire. The weather was great today, and added to the enjoyment of the day. Here are the fruits of our labor! 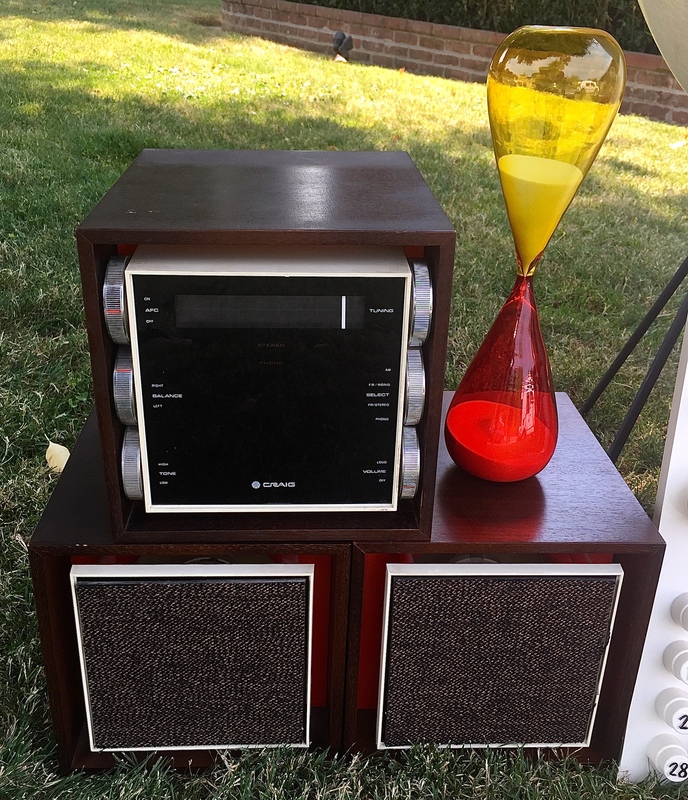 This Craig radio and speakers is really cool. If you look closely, you can see orange plastic behind the speakers and radio. I love the accent of that against the dark wood. We also managed to find the really cool hourglass. 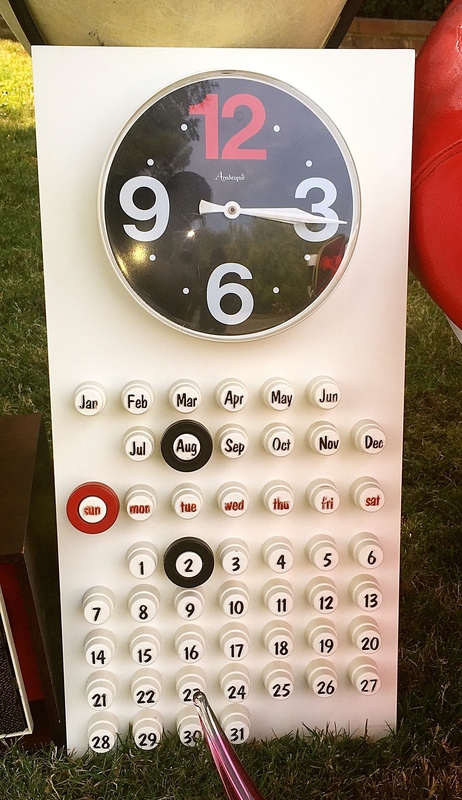 This super mod plastic clock and calendar was produced by Burwood. We love it’s functionality! 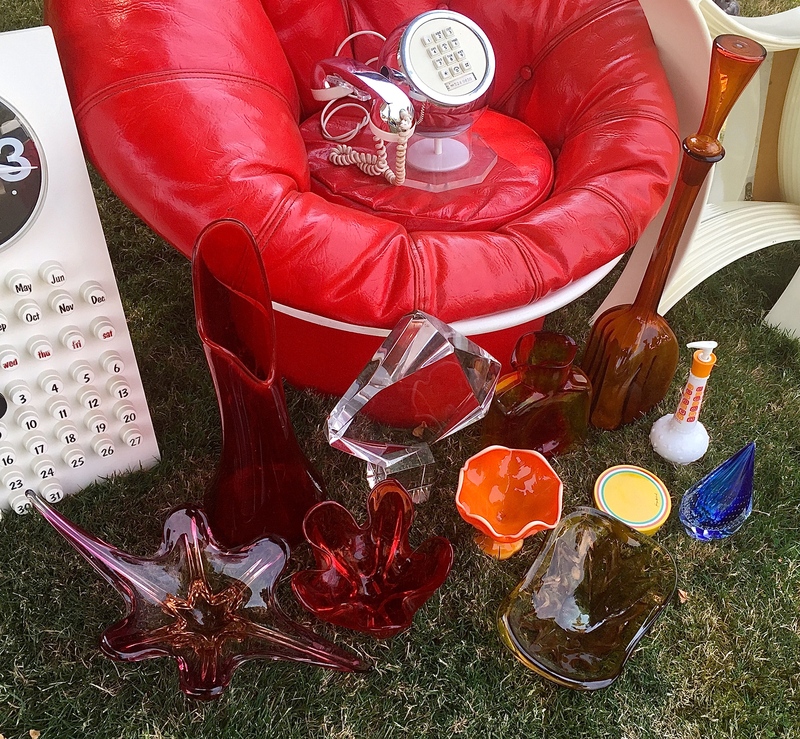 Here we have an assortment of Murano, Blenko and other cool glass pieces. This is a real gem! 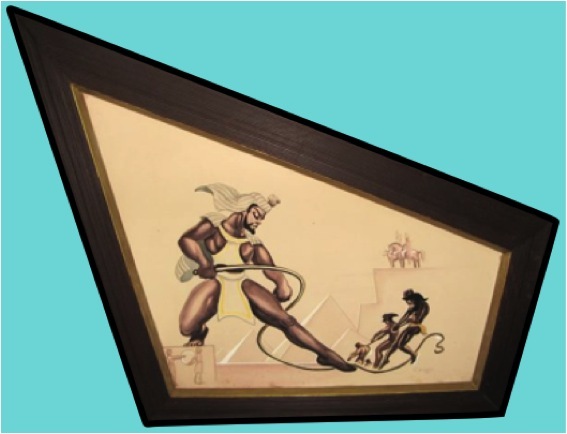 This will look great with the rest of our space age decor! 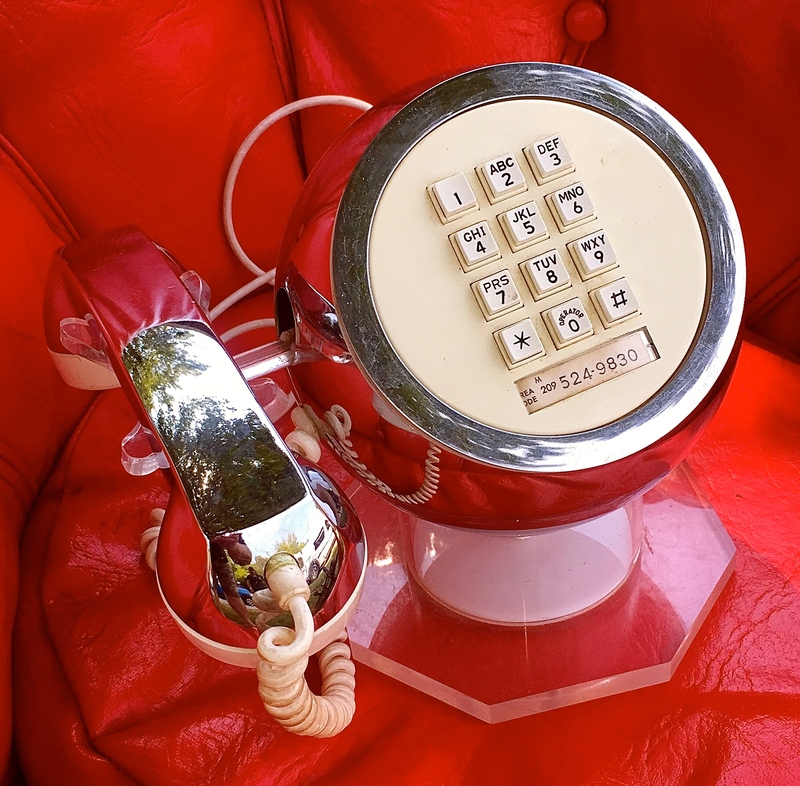 We love this phone. 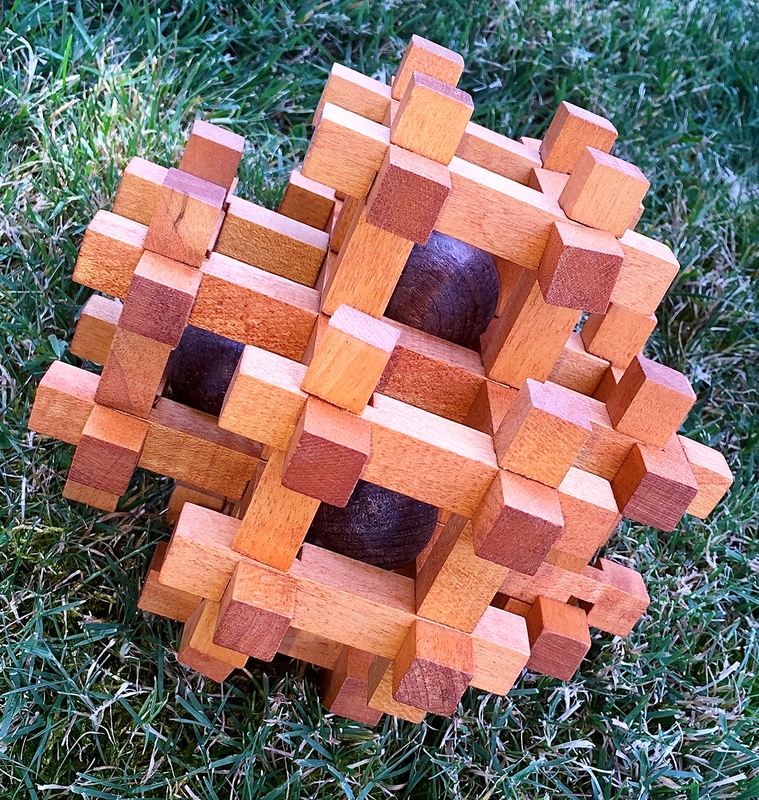 This “Janga” looking piece is a table top puzzle piece from the 70’s. These jacks are huge. They are made of resin, thank god because if they were metal I am not sure I could lift them! We purchased these courtesy of FandFVintage. 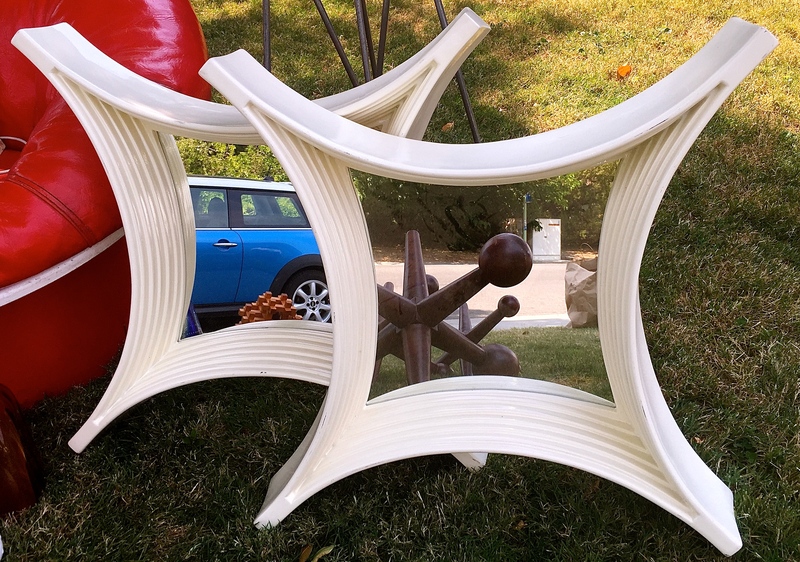 Totally Panton Era mirrors! Thanks Tom and Vern! 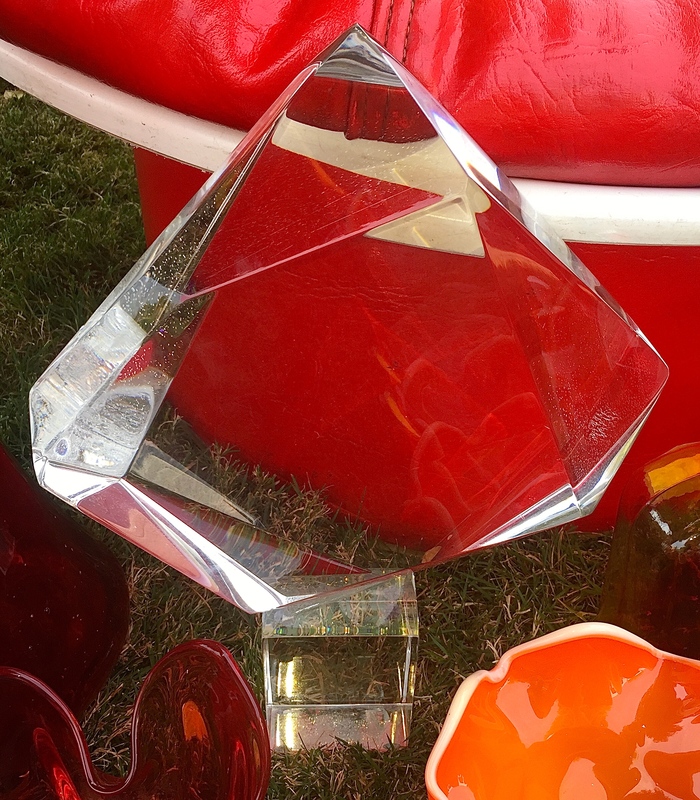 Large abstract geometric lucite sculpture by Van Teal circa 1970’s. 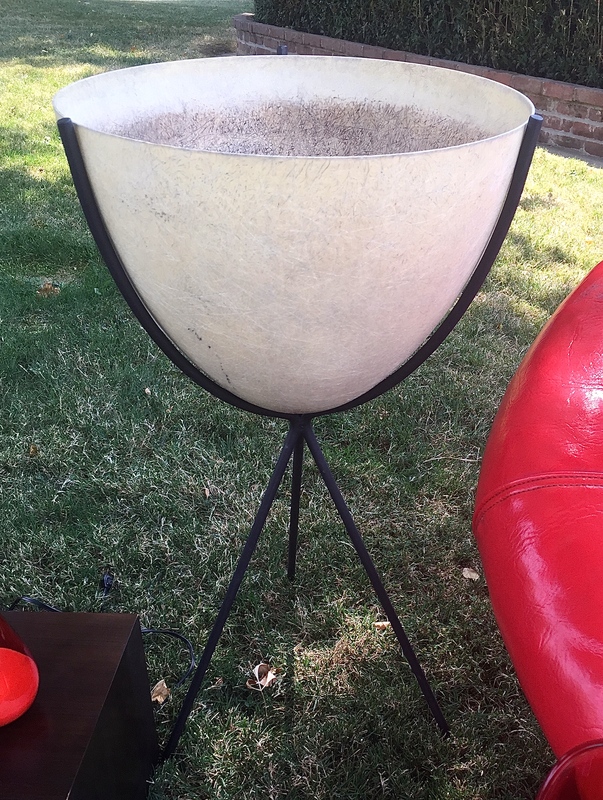 This interesting piece is also from FandFVintage and will be used as a planter. 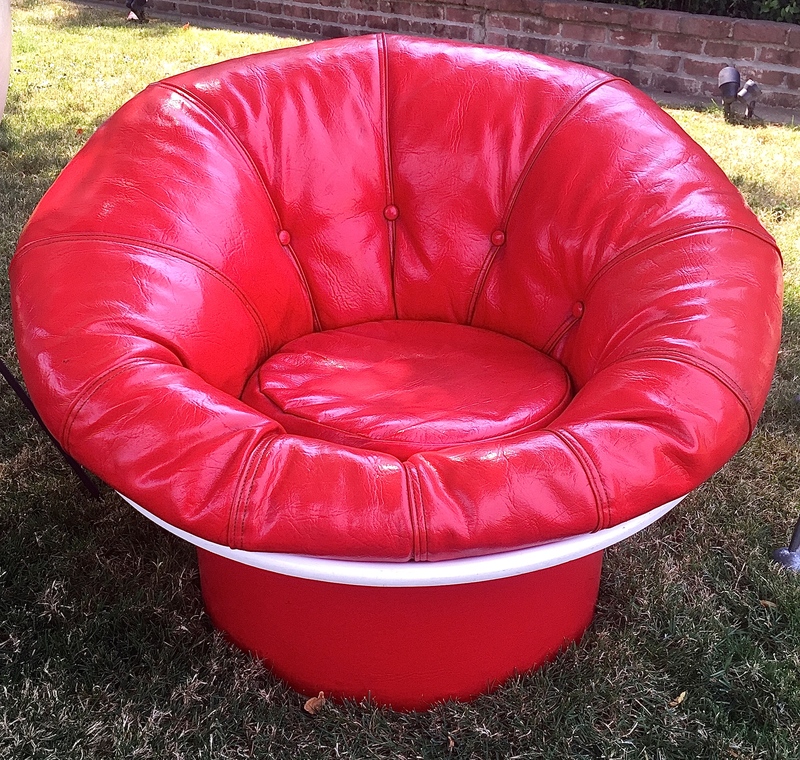 This is a vintage red pod chair. 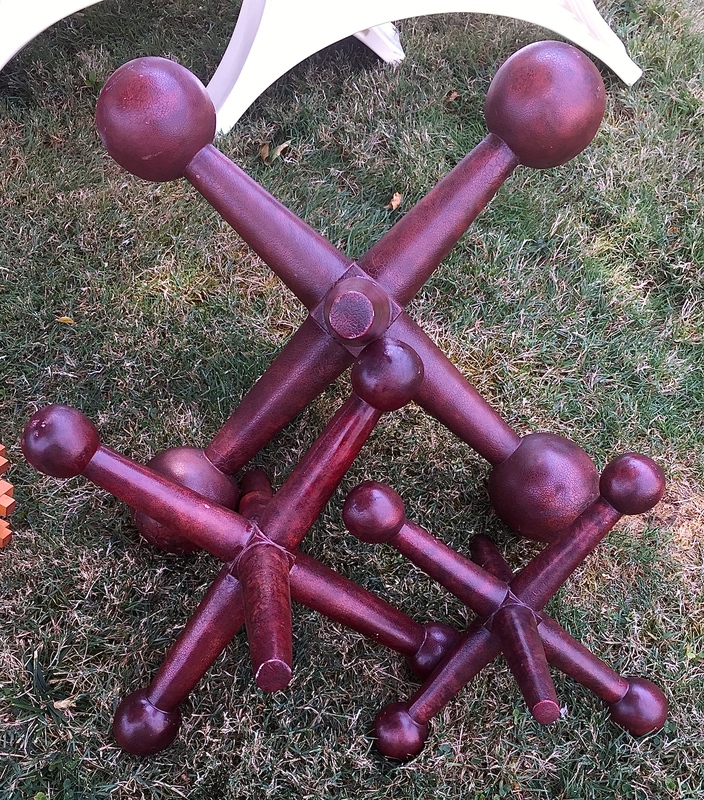 We are unable to find anything about the maker of this piece. 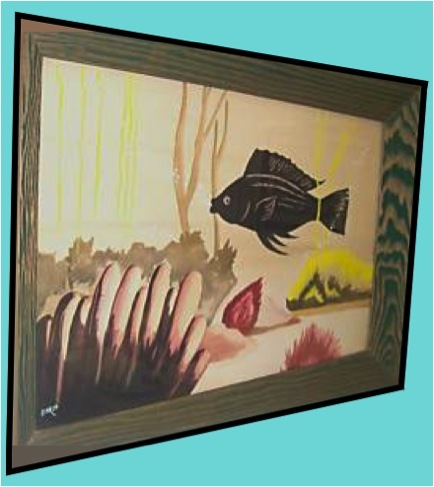 I have a yellow chair that will go with this that I cannot substantiate either. 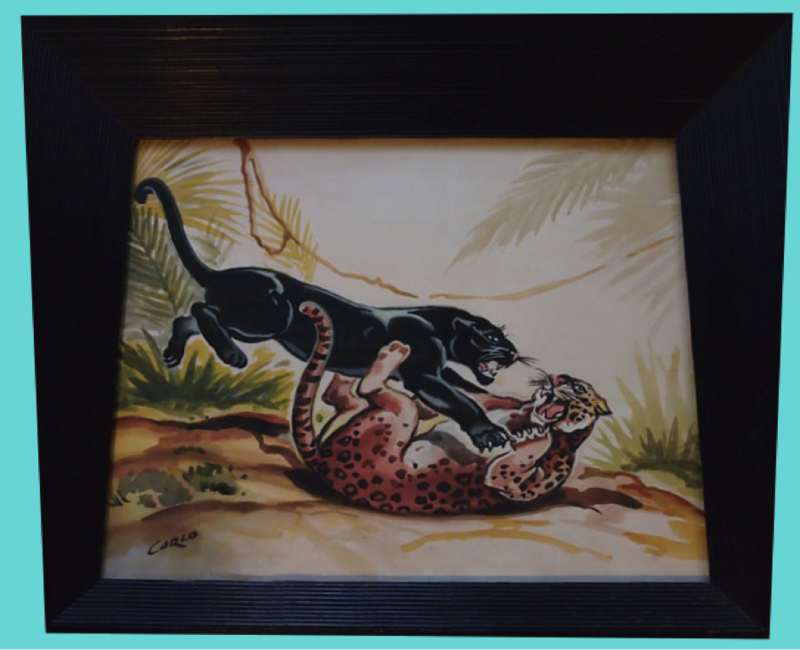 If anybody knows the maker, we’d be interested in knowing. 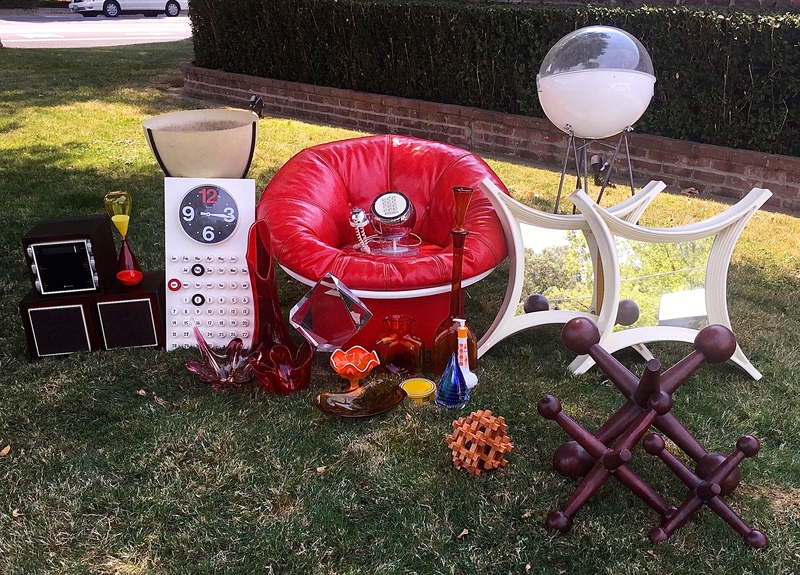 Posted in Our Collection and tagged 60's chair, 60's glass, 60's pop art, 70's chair, 70's glass, 70's pop art, Blenko glass, Bullet Planter, burwood art, Burwood Products Company, egg chair, fiberglass mirror, kimball bullet planter, kimball planter, mcm bullet planter, mcm glass, mcm jacks, mid century bullet planter, mid century glass, mid century jacks, midcentury bullet planter, midcentury egg chair, midcentury fiber glass chair, midcentury fiber glass furniture, midcentury fiberglass chair, midcentury fiberglass furniture, midcentury jacks, midcentury kimball bullet planter, midcentury kimball planter, midcentury molded plastic chair, midcentury molded plastic furniture, midcentury planter, midcentury pod chair, midcentury vintage chair, molded plastic chair, molded plastic furniture, molded plastic mirror, murano glass, panton chair, panton egg chair, Panton era chair, panton era egg chair, Panton era furniture, panton era mirror, panton era molded plastic chair, panton era molded plastic furniture, Panton furniture, panton mirror, plastic chair, pod chair, pop art mirror, retro bullet planter, retro glass, retro jacks, retro mirror, retro pop art, seventies chair, seventies glass, seventies pop art, shell chair, sixties chair, sixties glass, sixties pop art, space age chair, space age furniture, Van Teal acrylic, Van Teal lucite, Van Teal Sculpture, vintage bullet planter, vintage Burwood Products Company, vintage glass, vintage jacks, vintage mirror, vintage pop art. Bookmark the permalink.